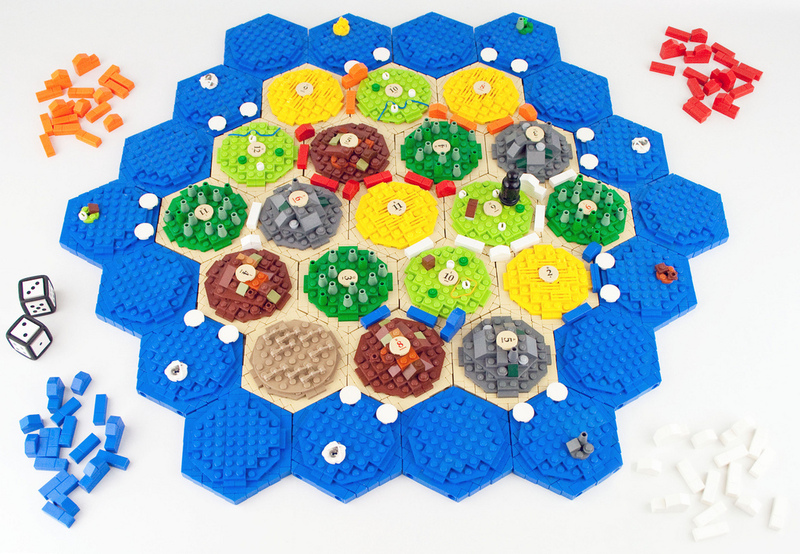 This intricate, playable Settlers of Catan game made of Lego bricks is both awesome and not yours. If you're a serious fan of Lego, you've probably heard of Brickworld, the Lego convention featuring custom-made displays of the colorful, ubiquitous interlocking brick. 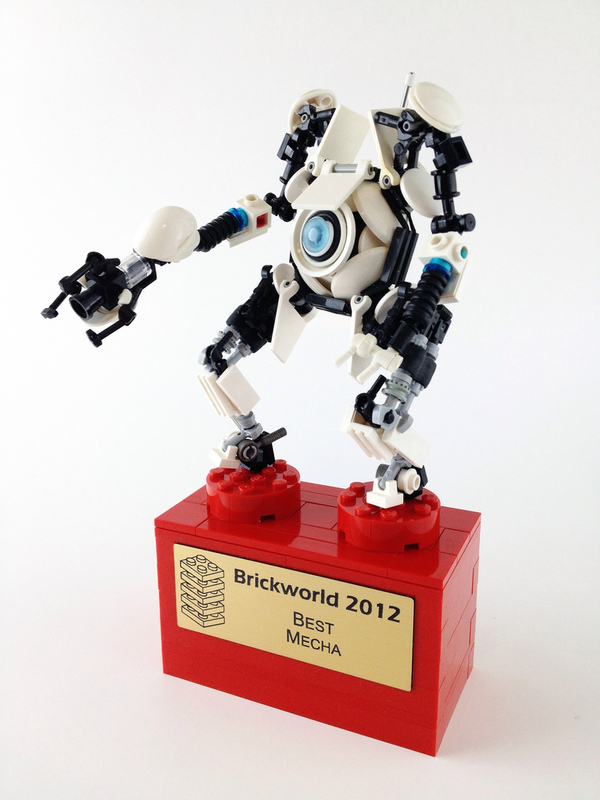 Brickworld actually covers three conventions, each held annually in its respective location. The Chicago convention, aimed at adult and teenaged fans of Lego, gives them a chance to showcase their creations to each other and to the public. 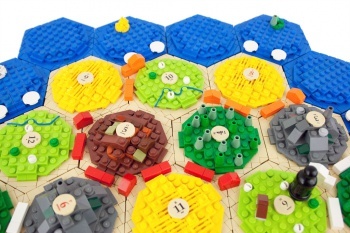 This year's Brickworld Chicago, which took place a couple weeks ago, brings us today's amazing item that you can't have - a working Lego Settlers of Catan board. The board was created by Ryan H. and features three-dimensional representations of each of Catan's distinctive resources. These are locked onto tan-colored bases of perfect hexagonal shape, and the board can be assembled like any of its flatter counterparts. There are even custom Lego bricks for the number chips - they look almost exactly like the flat chips from the official version, but are in fact bricks that lock onto the resource hexagons. The board also includes roads, settlements, and cities made from Lego bricks, plus a set of totally normal dice. This isn't the first custom-made Lego Settlers of Catan board that's been discovered - a smaller board by Suzanne Rich made an appearance at the now-defunct Brickfest convention back in 2006. 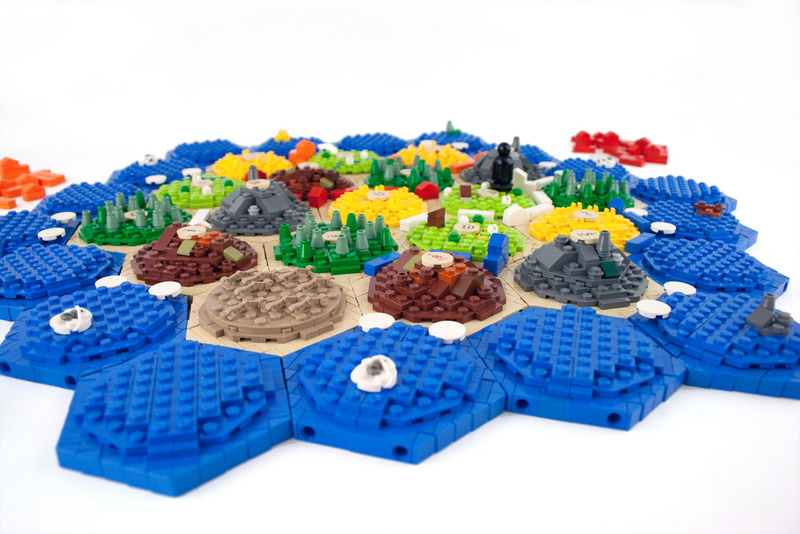 That board used circular resource and water tiles, with border pieces arranged around them to create the all-important hexagonal layout. Unfortunately it hasn't been seen since, but that hopefully just means Rich has kept it as her personal board. As for the new board, if you want to play with it you'll have to set up a game with Ryan H., who has already stated it's not for sale. He has promised to post details of how he created the board - particularly the hexagonal pieces - "soon." If you're interested, head over to his Flickr account and check out his other work, including a Lego rendition of Portal 2's Atlas.